Like many others, I have a love-hate relationship with onions. They're a pain to prep (cue the tears) and leave lingering traces of their scent on the fingers but they're just oh so delicious! The task of caramelising onions also seems to take forever but the effort and patience is definitely well rewarded. I have played around with a number of burger recipes over the years but have recently landed quite a keeper. Hint: it involved a lot of onions. Cook the minced onion in hot oil over low heat, continually stirring until caramelised. Set aside the caramelised minced onion and repeat with the sliced brown onions. Add the caramelised minced onion to the beef mince. Season with salt and pepper, combine and form four patties. Cook the patties for 3 - 4 minutes on each side over medium heat or until just brown. Top the patties with cheese and along with the burger buns, place under a grill until the cheese is melted and buns are toasted. 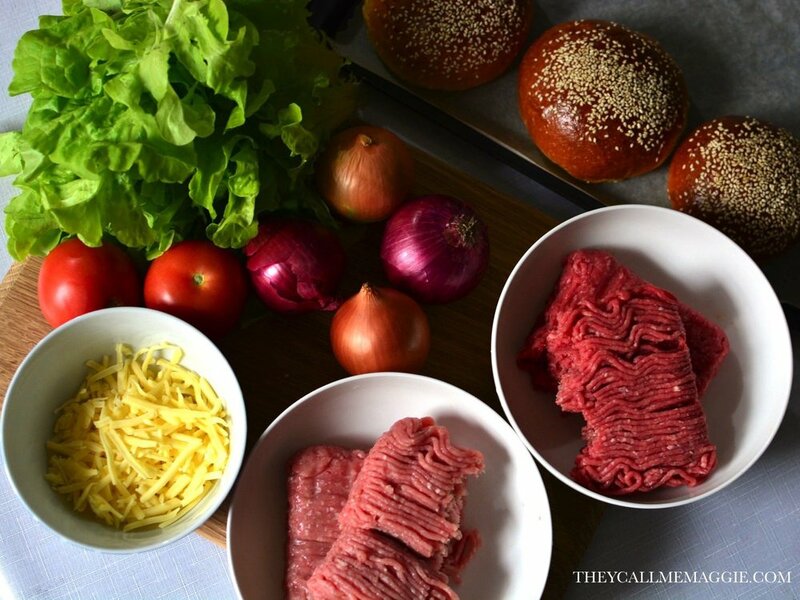 Assemble each burger with lettuce, tomato, red onion, beef patties, caramelised onions and sauces.